*This post contains affiliate links for your convenience. 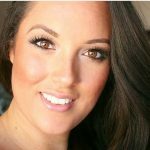 If you decided to make a purchase, I will make a commission at no additional cost to you. See my full disclosure policy here to learn more. 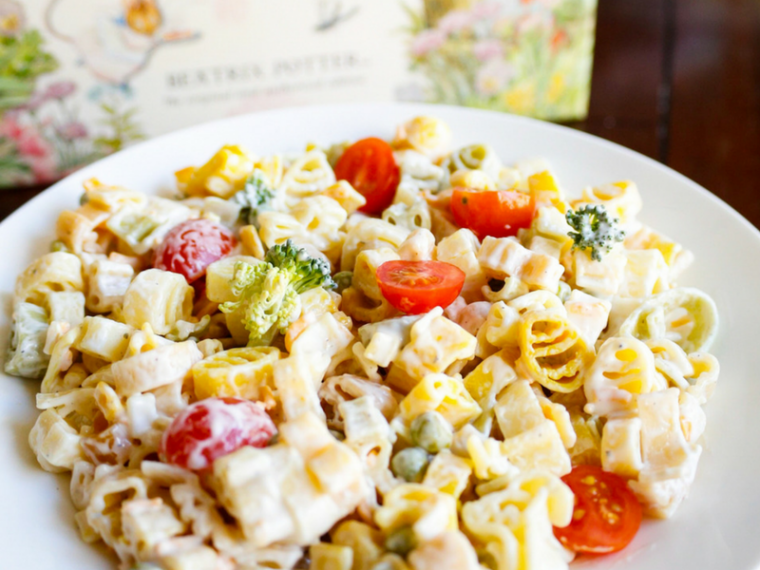 Did you grow up reading about the beloved characters created by Beatrix Potter? My brothers and I loved the Tale of Peter Rabbit. It was so much fun to read about the trouble Peter would get into in Mr. McGregor's garden. The stories are timeless and it's been wonderful introducing my children to Peter and all of his friends. My boys have been looking forward to seeing the new Peter Rabbit movie for months. 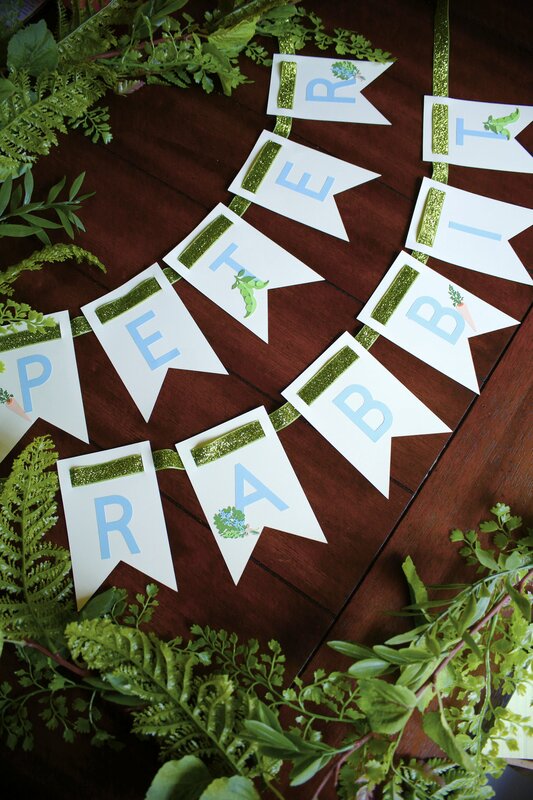 To celebrate, I threw a Peter Rabbit party that I'll be sharing with you on Thursday. 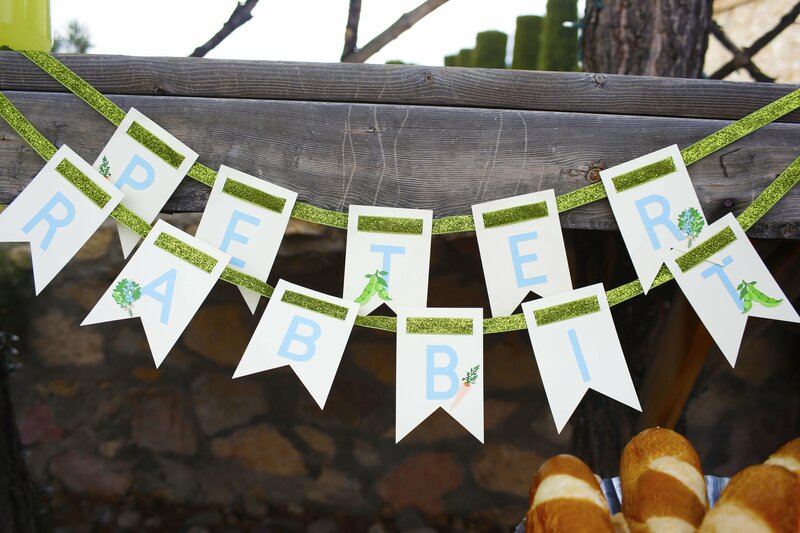 At the party, there were a lot of fun decorations including this Peter Rabbit party banner that I made with my Cricut Maker. I love customizing my parties with Cricut and this party was no exception. 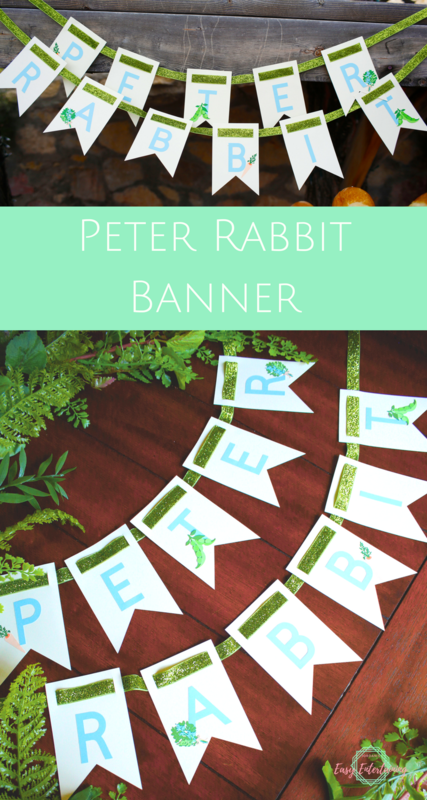 So if you're going to throw a Peter Rabbit Party or decorate a nursery or playroom, this easy banner tutorial should come in handy. Let's get started! 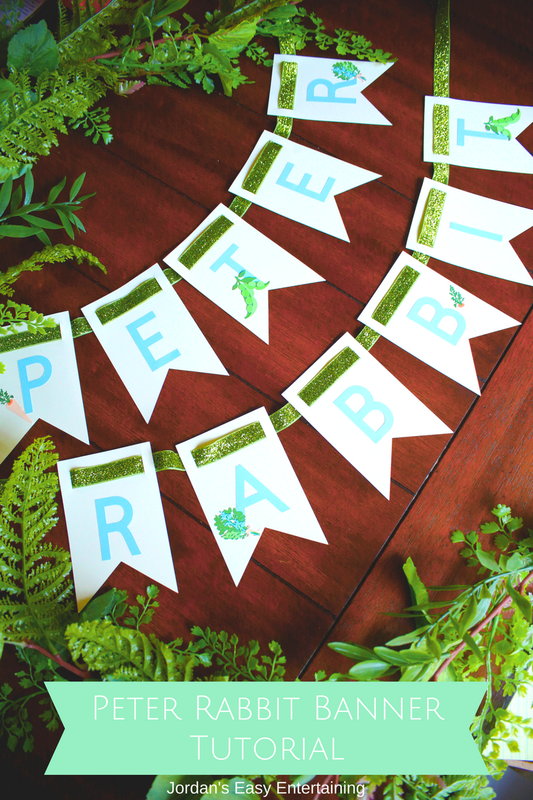 Step 1: Open up the Peter Rabbit Party Banner file in Cricut Design Space. 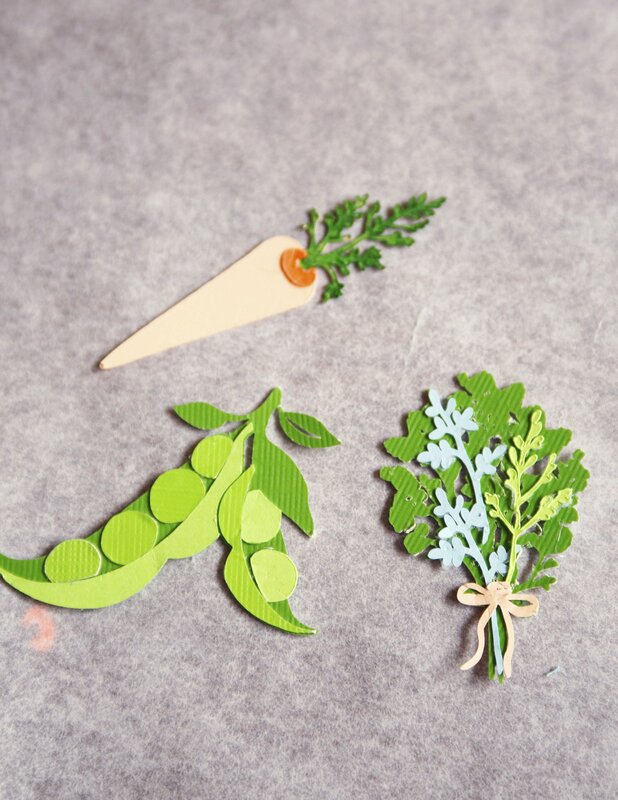 Cut out all of the pieces using one of the cardstock settings. 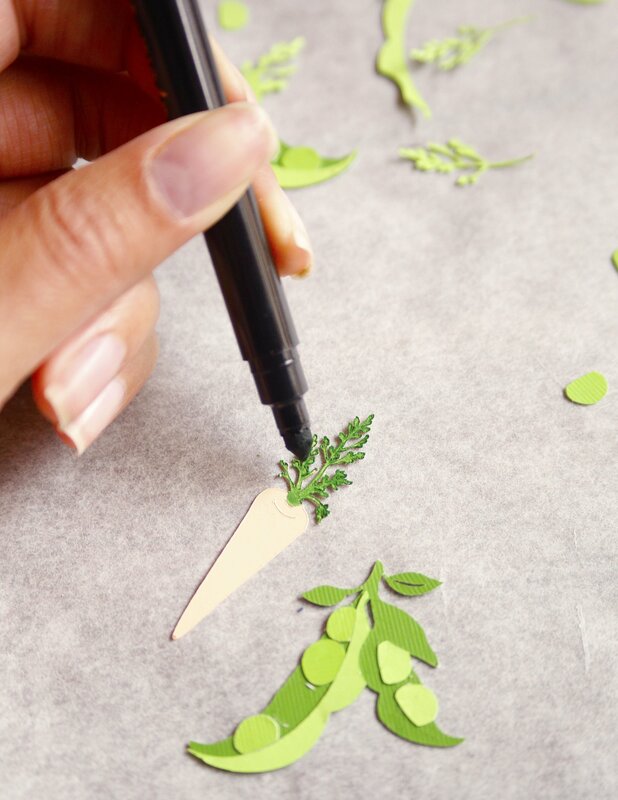 Be aware that the green carrot top is going to be difficult to cut. I tried 5 different times and finally gave up - but don't worry, I'll show you how to deal with that below. 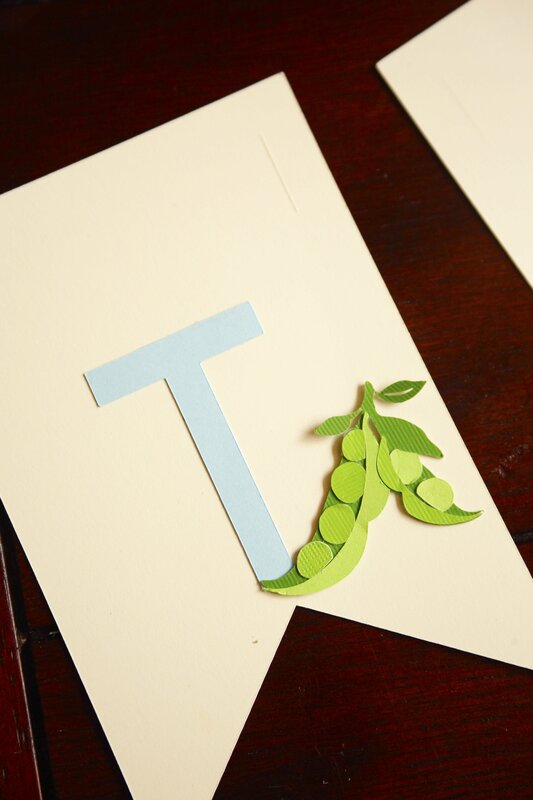 Glue all of your letters to the banner pieces, making sure to leave room at the top for the ribbon to go through without covering the letters. 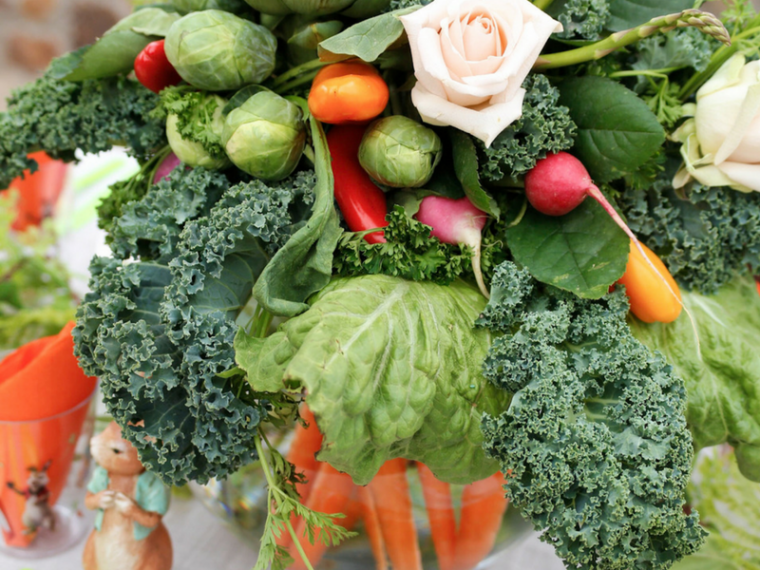 Assemble the carrot, peas, and parsley bunch. 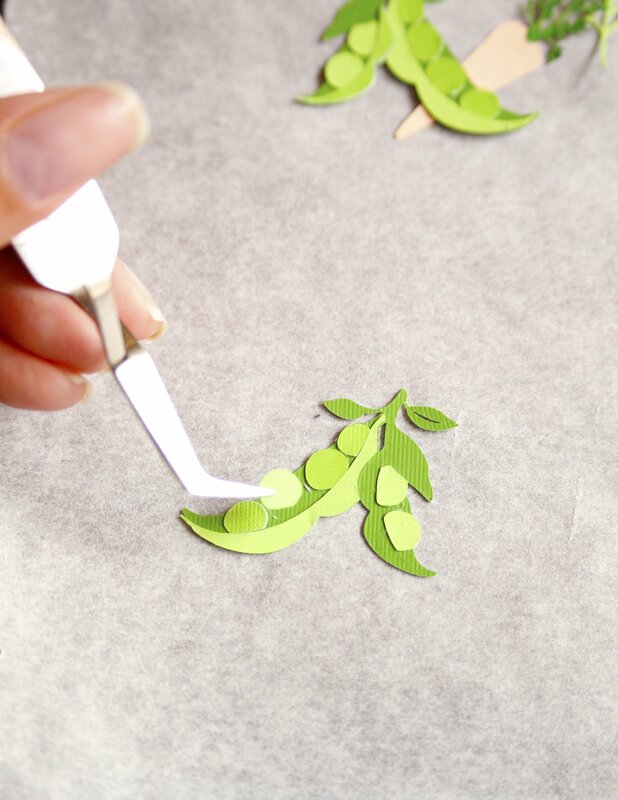 This is a little tedious but much easier if you use the Cricut Tools tweezers and spray adhesive. For the carrots, since my green tops did not cut properly, I used a green marker to color the tops. Lay out your banner and decide where you'd like to place the details. I chose to put my elements on every other letter. Now it's time for the ribbon. 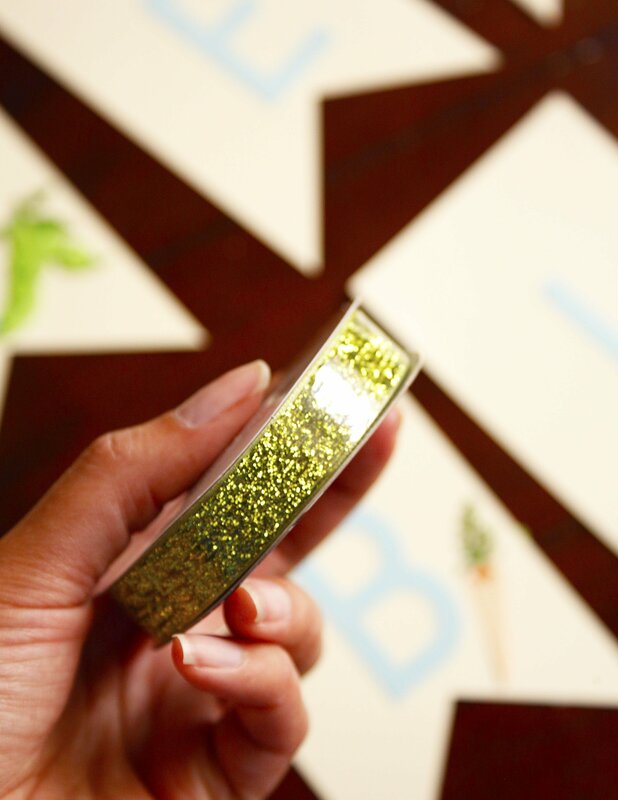 I LOVED using this green glittery ribbon because it looked a lot like moss for the party. 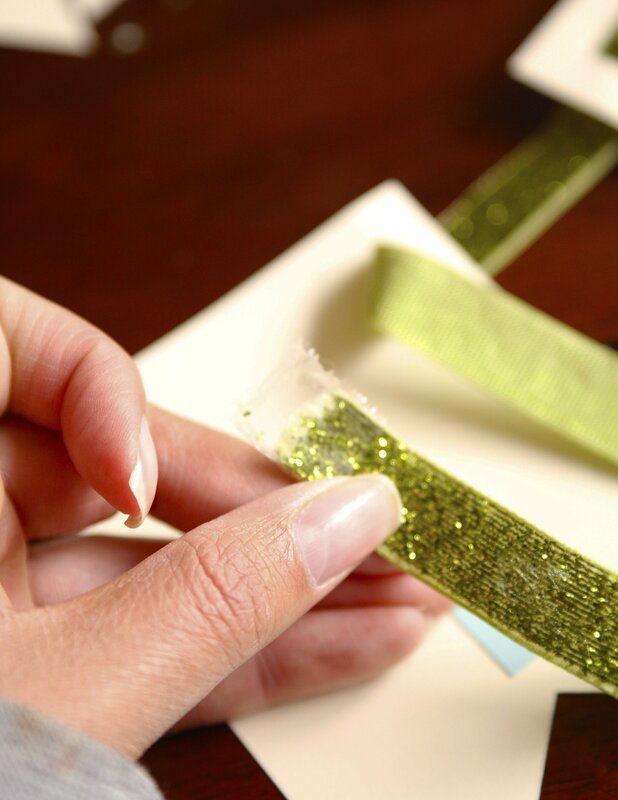 Because most ribbon will fray while threading through the banner, place a piece of tape around the end. That's it! I decided to have 2 separate ribbons for "Peter" and "Rabbit" because of the size of the table I was placing the banner over, but you can definitely leave it as one banner if you prefer. 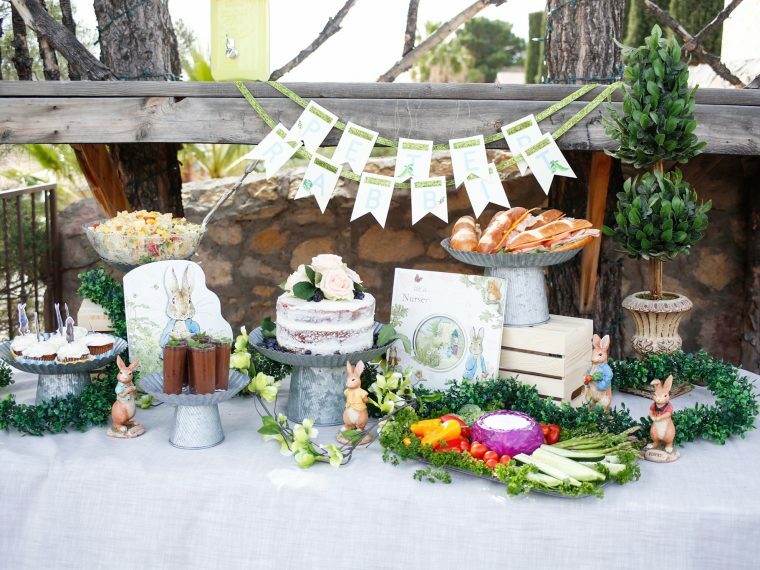 I hope you come back this week to see the party and some of the other Peter Rabbit DIY projects. 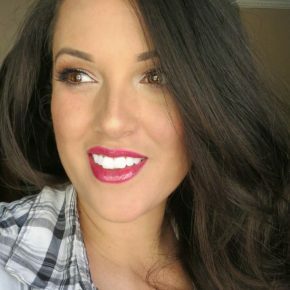 If you need a reminder and see more fun posts, sign up for my email list below.